The goal of cultural psychology is to explain the ways in which human cultural constructions - for example, rituals, stereotypes, and meanings - organize and direct human acting, feeling, and thinking in different social contexts. A rapidly growing, international field of scholarship, cultural psychology is ready for an interdisciplinary, primary resource. 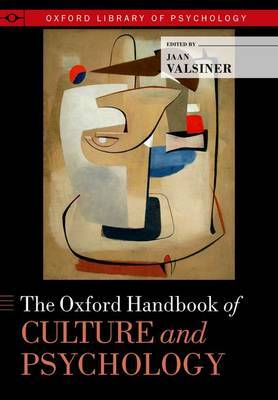 Linking psychology, anthropology, sociology, archaeology, and history, The Oxford Handbook of Culture and Psychology is the quintessential volume that unites the variable perspectives from these disciplines. Comprised of over fifty contributed chapters, this book provides a necessary, comprehensive overview of contemporary cultural psychology. Bridging psychological, sociological, and anthropological perspectives, one will find in this handbook: - A concise history of psychology that includes valuable resources for innovation in psychology in general and cultural psychology in particular - Interdisciplinary chapters including insights into cultural anthropology, cross-cultural psychology, culture and conceptions of the self, and semiotics and cultural connections - Close, conceptual links with contemporary biological sciences, especially developmental biology, and with other social sciences - A section detailing potential methodological innovations for cultural psychology By comparing cultures and the (often differing) human psychological functions occuring within them, this handbook is the ideal resource for making sense of complex and varied human phenomena.